Clean your garage floor in record time! Forget the broom. 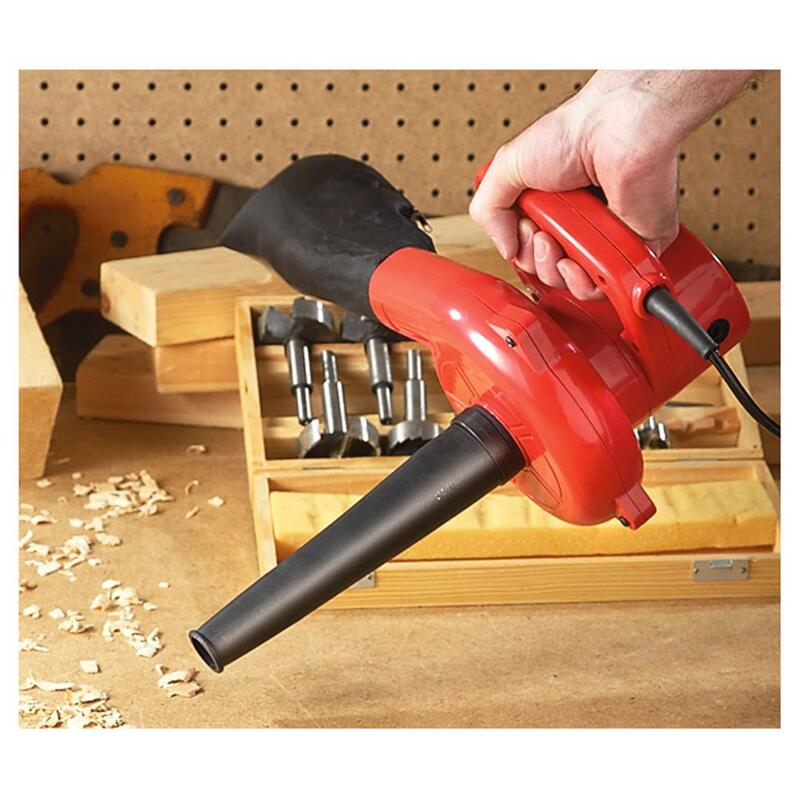 Get this portable Blower to save time and effort. Kicks sawdust, dirt and debris to the CURB with 75 MPH airflow. Measures 7" x 7" x 9 1/4"l.
Wilmar High-powered Mini Garage Blower is rated 4.7 out of 5 by 55. Rated 5 out of 5 by BigAl from Winner I bought one of these from SG a few years ago. I LOVE IT. Really handy for those small areas and quick jobs. Has as much power as a full sized unit. You can't go wrong. Rated 5 out of 5 by Peppermintpatty from GREAT COMPANY TO DEAL WITH!! I received my order when they said I would and it was exactly what I was looking for and it was a great price. Rated 5 out of 5 by Al B from Blown Away by this little blower! When I ordered this small blower, I wanted something smaller and more convenient for small jobs. My full size blower works great but is large, bulky, and takes some effort to set up. When this one arrived, it looked like a hair dryer! My first comment to myself was, OK, it wasn't very expensive so not much money thrown away. But then I tested it out-WOW-it really gets the job done! Amazing how well it works to be so tiny and easy to use!! I hope it holds up well, if so, its' a home run!! Rated 5 out of 5 by jamesa from Wilmar High-powered Mini Garage Blower Compact and powerful using it to jet dry motorcycles after we wash them. Rated 5 out of 5 by Eclypse from Stronger than i thought Wow, this little blower is way stronger than it looks, great output of wind from this little unit. Should tackle most jobs around your shop or garage with no problem at all, and for $14.00 too!! Rated 5 out of 5 by Jan Joseph from Impressive little blower! 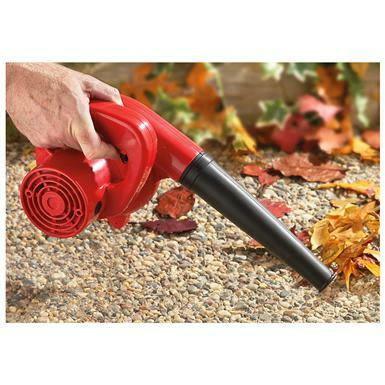 Was hoping this blower might help with keeping the garage floor cleaner, it does so much more than that!We have 8 foot wide porches front and back and this little gem easily blows off all the leaves, dog hair and spider webs! Am more than satisfied with this blower. Rated 5 out of 5 by PACKY from Small to do the big job The blower is ideal to use to clean the bench and other tools. Enough power to do the job in a condensed unit.